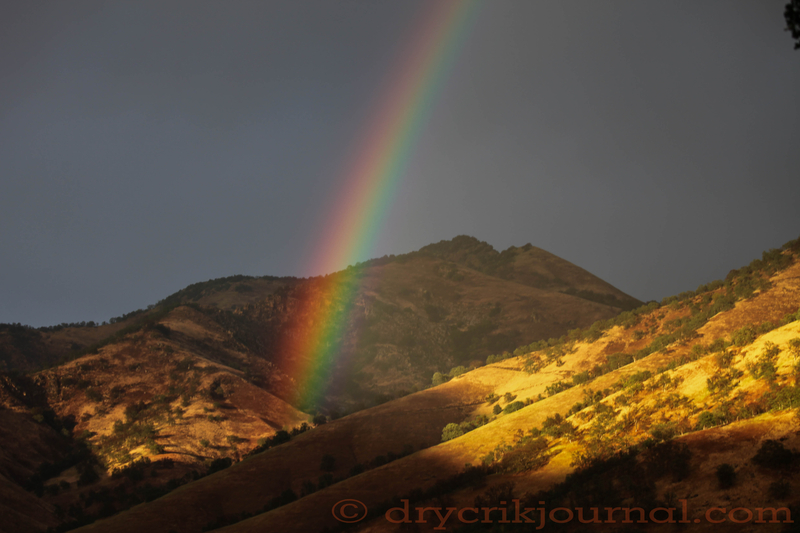 This entry was posted in Photographs, Poems 2015, Ranch Journal and tagged Drought, Dry Creek, rain, rainbow, Sulphur Peak. Bookmark the permalink. Perfect personification . . . Thank you, Peter. Simple little poem that fit yesterday morning’s frame of mind. Great capture. How much did you get? 0.52″, Richard, that has perked-up the north slopes and probably helped a few places in our upper country, but all-in-all, it was just nice to see it rain. Love the beautiful image and your poem. Thank you. Maybe I’ll try another rainbow shot with the big lens.